The draw for the quarter finals has been made and now here’s your chance to attend one of the biggest matches in the football calendar, the Champions League Final. 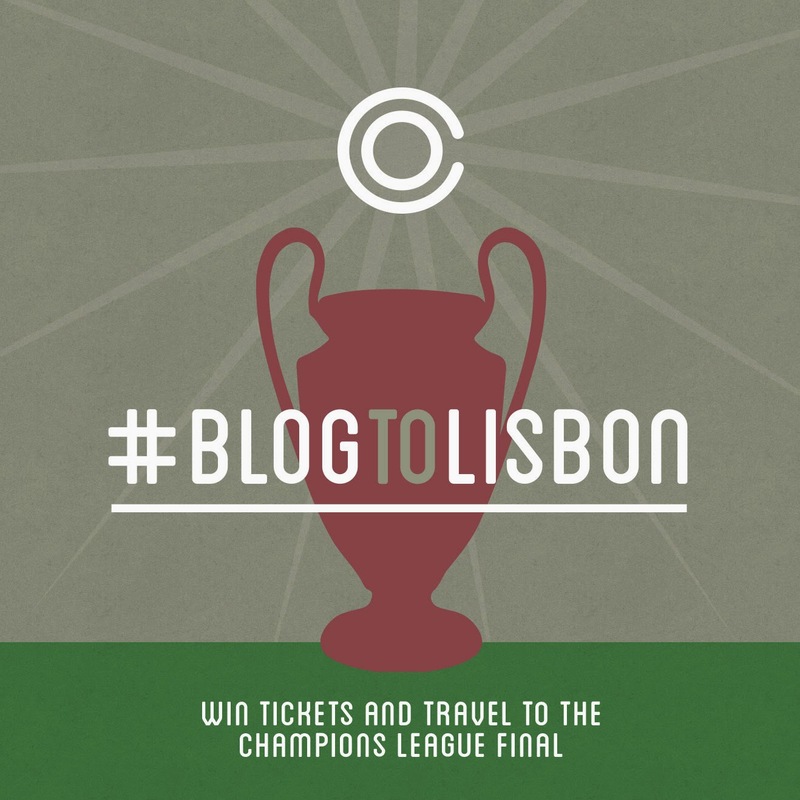 Lisbon will play host to the UCL showpiece and you can ‘blog’ your way there, courtesy of Campo Retro & AEJIS – UK leaders in event management & corporate hospitality. All you have to do is blog about your greatest moment watching the beautiful game… and you could win two match tickets, flights, airport transfers and accommodation to Portugal. If you’re a football fan who knows their European Cup history, you’ll know about the ‘Lisbon Lions’ - the Celtic team who became Britain’s first ever European Champions. Well now you have an opportunity to create some ‘Lisbon Lines’ and write your way to a dream trip to the Portuguese capital, to watch Europe’s finest on Saturday, May 24. It promises to be an illuminating experience in Benfica’s magnificent Estadio da Luz –Stadium of Light – and we want you to enlighten us with your fondest football memories. Whether it’s the first game you ever attended, a last minute winner for your team, lifting a cup or just a moment of sheer brilliance, as long as your blog highlights your passion for football and is relevant to the range of shirts at www.camporetro.com you’re in with a chance of winning. Once published send your entry to competitions@camposports.com with the link to your blog and you will be automatically entered into the competition. 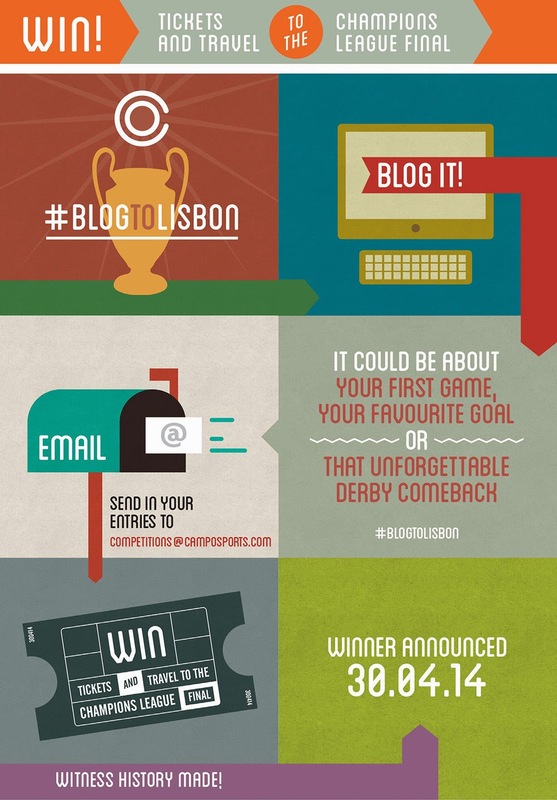 Tweet us using the hashtag #BLOGTOLISBON and keep up to speed with other entries and developments. The lucky winner will be selected on April 30 by Campo Retro & AEJIS.